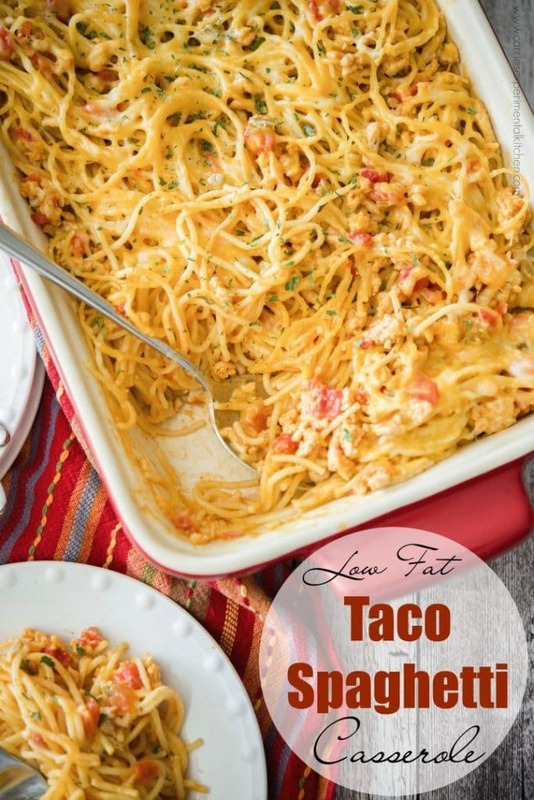 Taco Spaghetti Casserole made with lean ground turkey & spaghetti combined with a low fat cheesy Mexican sauce makes the perfect weeknight meal. 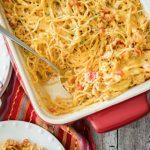 I love scouring Pinterest for new ideas and recently came across a recipe for Taco Spaghetti from Plain Chicken. It looked so good that I shared it on my Facebook page. 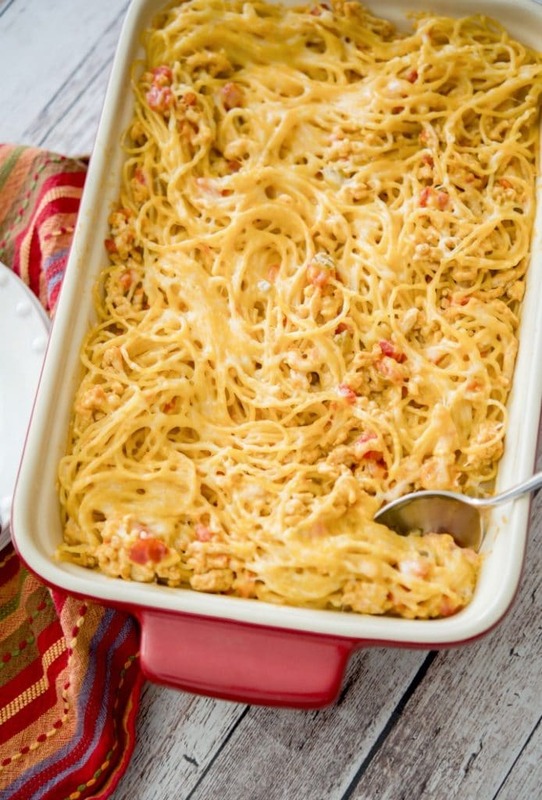 One reader commented that though the recipe did look good, he wished that it was made a little healthier and without so many processed ingredients. 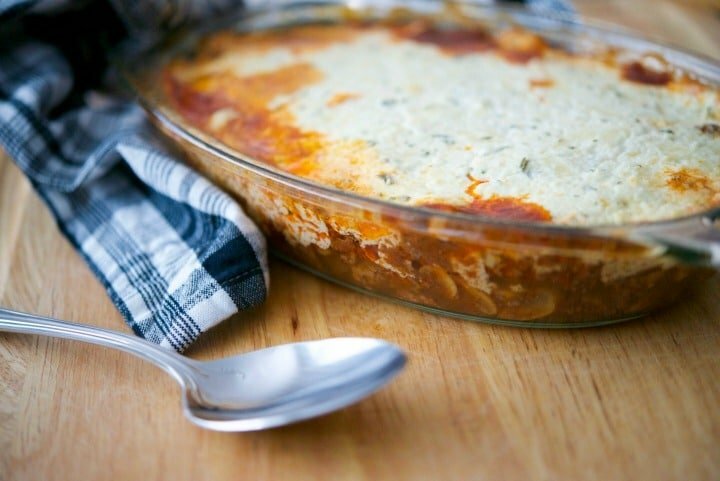 Knowing me as you all do, I set out to make a healthier, less processed version of this recipe and came up with this low fat version because who doesn’t love a new, tasty weeknight casserole to serve the family! The original recipe called for ground beef, taco seasoning, cream of chicken soup, Velveeta and cheddar cheese. I opted for ground turkey (which she also gave as a suggestion), taco seasoning (because I didn’t want to totally recreate the wheel); then I made my own cheese sauce using 2% Mexican cheese blend and chicken stock. This recipe takes about 20 minutes to prepare; then another 20 minutes to cook through. 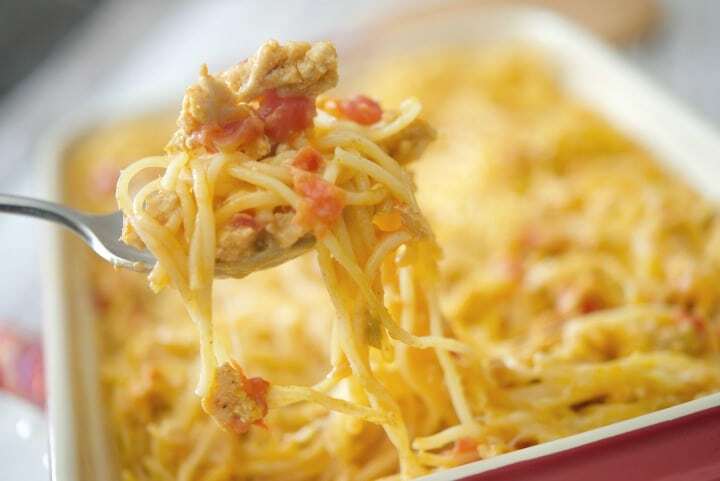 To make this casserole, start by cooking your spaghetti according to package directions; then drain the water once done. While your spaghetti is cooking, brown your ground turkey in a non stick skillet coated with cooking spray. I used extra lean turkey; which is 99% fat free. Once the meat is cooked through and no longer pink add the taco seasoning and a bit of water; simmer for 5 minutes. Remove from the heat and set aside. Next, it’s time to make the sauce. You can do this while the pasta is cooking and the turkey is browning. Melt butter in a small saucepan; then add flour to form a roux. Add chicken stock, milk and shredded cheese and cook over medium heat until the cheese has melted and the sauce thickens. 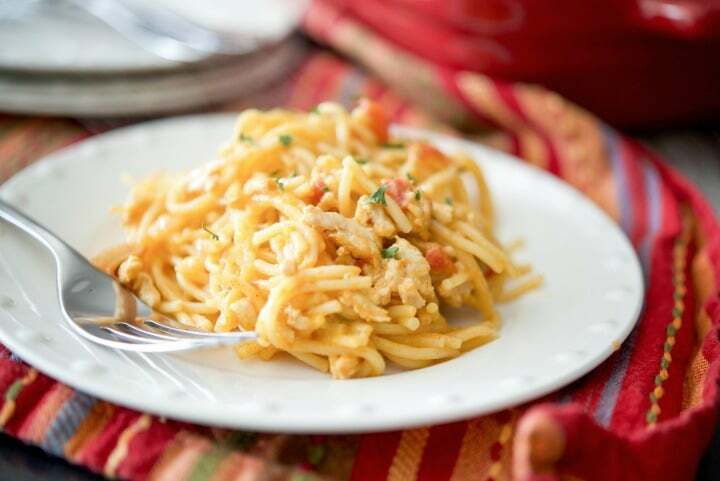 Finally, add the turkey, cheese sauce and a can of diced tomatoes with green chilies to the pasta and mix well. Place in a 9×13 casserole dish, sprinkle some more cheese on top; then bake in a 350° F oven for 20 minutes or until the cheese has melted. Do you like your food on the spicier side? Then I suggest using the hot chilies and tomatoes, but for us the mild worked just fine. 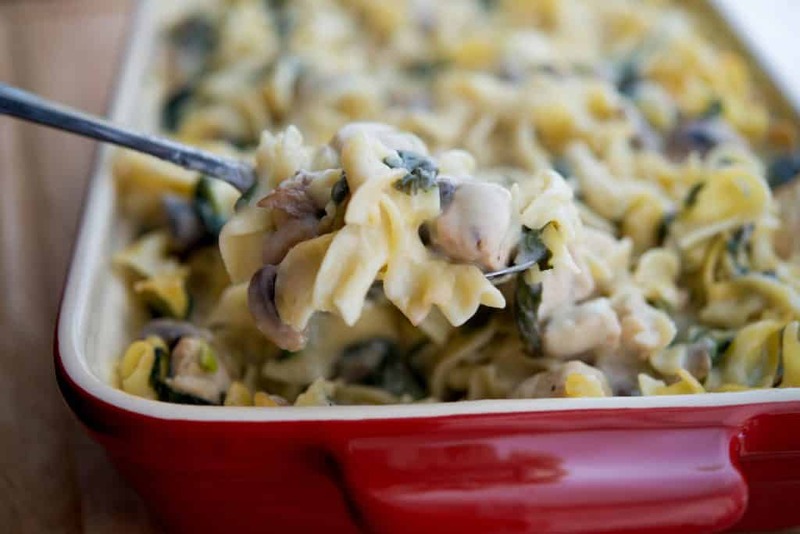 We enjoyed this casserole and even froze some for our daughter to try when she comes home from college for Spring break in a couple of weeks; I hope your family will like it too. ~Enjoy! Sign up for my weekly newsletter to get the latest recipes and receive a FREE eBook! Visit the recipe index to search for more recipes by category. Cook spaghetti according to package directions, drain. While the pasta is cooking, spray a non stick pan with cooking spray and brown the turkey over medium high heat. Once browned and no longer pink, add the taco seasoning and water; simmer for an additional 5 minutes. In a small saucepan, melt the butter over medium heat; then add the flour forming a roux. Next add the chicken stock, 1 cup of the cheese and milk and whisk over medium heat until the cheese melts and forms a sauce; approximately 5 minutes. 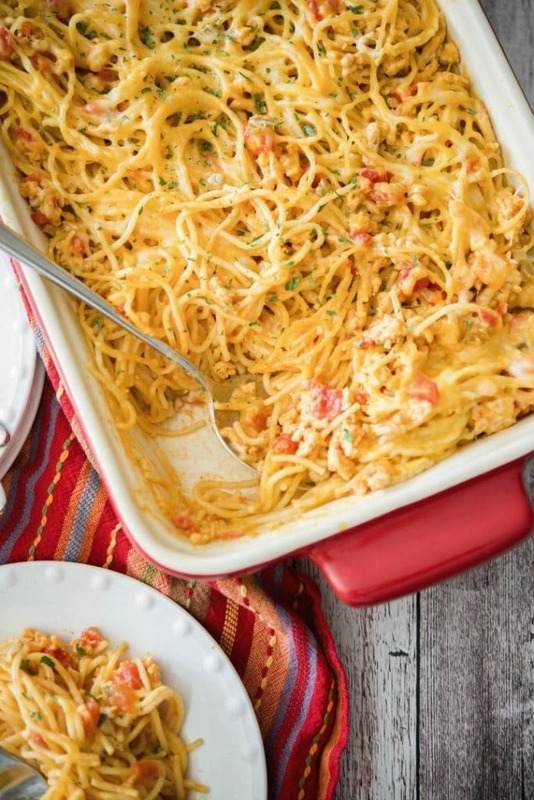 Add the turkey, cheese sauce and the diced tomatoes to the pasta and mix well. 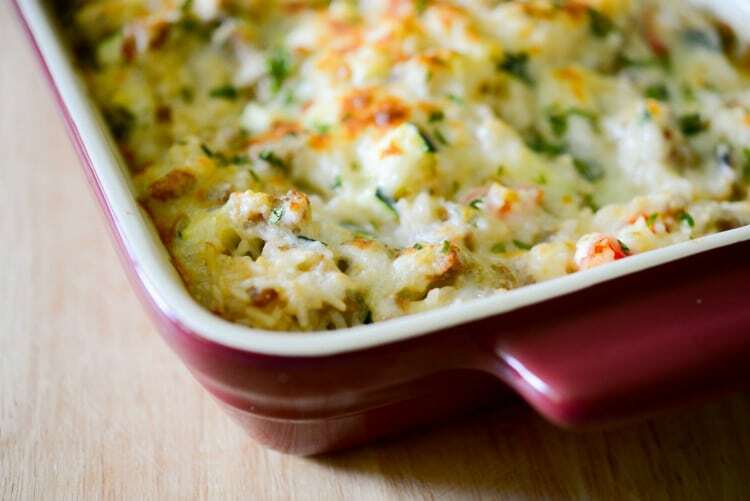 Place in a 9x13 casserole dish and sprinkle with the remaining cheese and bake for 20 minutes or until the cheese is melted and casserole is hot and bubbly. *Nutritional information is based on specific ingredients and products used in this recipe and was calculated by MyFitnessPal.com; which may not be 100% accurate. ©2017 Carrie's Experimental Kitchen. Unauthorized use and/or duplication of this material without express and written permission from this blog’s owner is strictly prohibited. Please contact the owner for any licensing inquiries for commercial use, publication and/or general distribution. 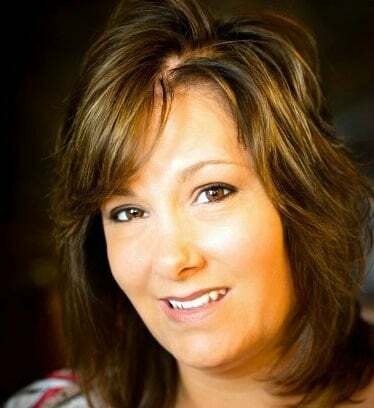 This post includes links to my affiliate account at Amazon.com where Carrie’s Experimental Kitchen earns a few cents on the dollar when readers like yourself purchase the items I recommend. Thank you for supporting Carrie’s Experimental Kitchen when you shop at Amazon! Hello, can you tell me your serving size for your nutritional values? I tried to see if it was in MyFitnessPal but I did not see it. I don’t have an actual measurement, but I used a 9″x13″ casserole dish and cut it into 8 portions. I hope that helps! What can I sub for the milk? Besides using half & half or heavy cream; I’m not quite sure. You can try to use almond milk or just increase the chicken broth, but I’m not sure that will help to thicken the sauce. Not sure what to make for dinner? Just look around your kitchen and the ingredients for a quality, home cooked meal are right in front of you. Join me as I experiment with new recipes that are family friendly and easy to recreate at home without a laundry list of ingredients. Enjoy!